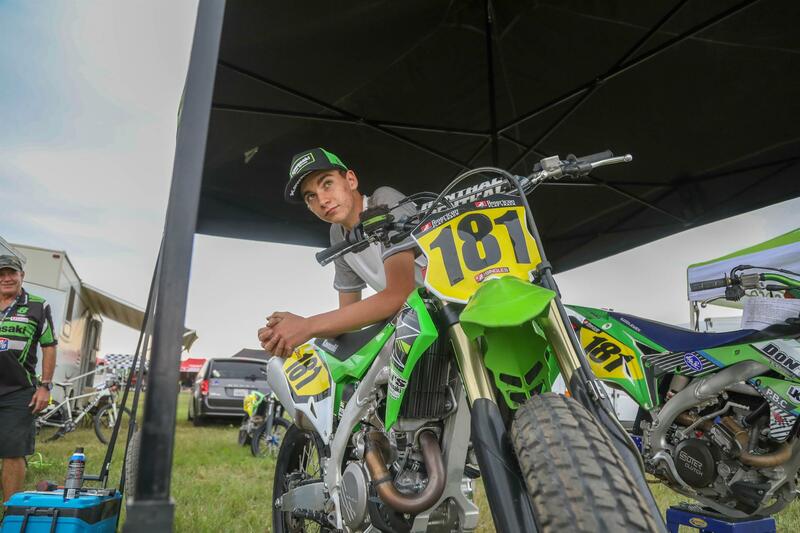 OTTUMWA, IA (November 20, 2018) – Weirbach Racing is pleased to announce the 2019 American Flat Track sponsorship support of Max Whale in the AFT Singles class, aboard the new 2019 Kawasaki KX450. 17-year-old Max Whale from Coondoo QLD, Australia has accomplished much in his young career, and displayed his developing talent during his introductory year in the AFT Singles class in 2018. Max finished the year 14th in the series standings, an impressive run considering he missed two rounds due to an injury mid-season. Whale had several top-10 finishes, including a fifth place finish at the OKC Mile and finish of fourth at the Williams Grove Half-Mile. Weirbach Racing also plans to continue its support of Modesto California’s Michael Inderbitzen for select races in the AFT Production Twins class. In the 2018 events of this expanding class, Inderbitzen book-ended the summer with wins aboard the Weirbach Racing Kawasaki twins at both Springfield Miles. The team is busy building, preparing and testing motorcycles over the winter months, with its sights aimed at a successful 2019 season.